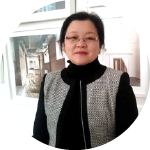 Maria Shiao (SEAS '86) has been on the CUCL Board since its creation in 2004 and supported the Club in many capacities, including Interim President from 2016 to 2017. Before moving to London, she was the Founding President of the Columbia Alumni Club of Paris (2001-2004), and has been an Undergraduate Admissions Alumni Representative Commitee Chair in Paris and Brussels, and a Member in London. Maria received the Columbia Alumni Medal for Distinguished Service in 2010. Maria is a tech entrepreneur, angel investor and advisor to startups and their growth ecosystem. She works across a number of disruptive technologies but now focuses on IoT and Smart Cities (hardware, SaaS, analytics/AI). Prior to her portfolio career, she had a successful corporate executive career with leading global telecoms and IT companies. A native of Spain, Maria has lived in the US, France, Belgium and for the last 14 years, in the UK. In addition to her BS (Hons) in Electrical Engineering from Columbia, she holds a MSEE from Telecom ParisTech and an MBA (Hons) from ESSEC Paris.